Copyright © 2005-14 by Eric M. Jones. Last revised 25 September 2014. 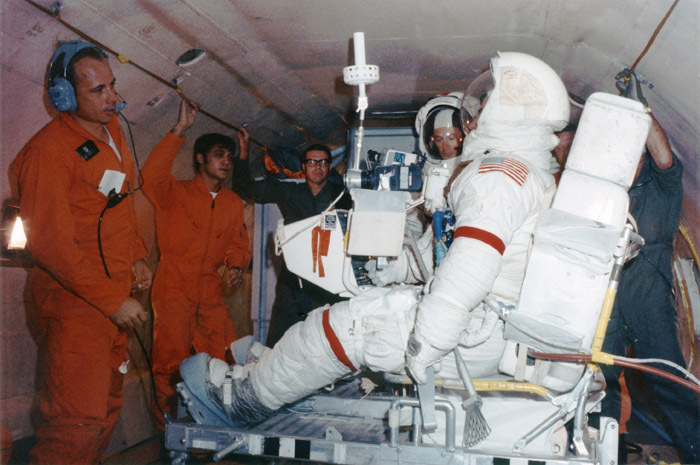 The images below were captured by Ulli Lotzmann from 16-mm film taken during the 4 April 1972 LM/LRV checkout. 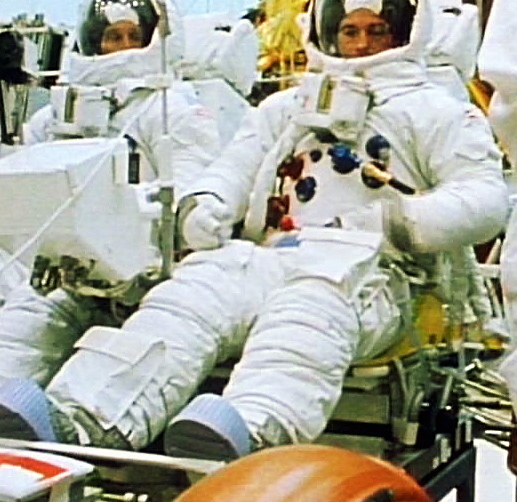 Note that because, on Earth, the suits are more compressed than they will be in the weaker lunar gravity field, belt length and fit were checked in 1/6th-g aircraft flights. I do not know if the same belt length was used in the LM/LRV checkout. 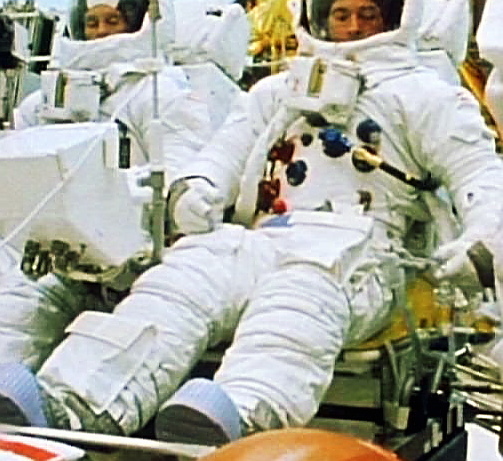 If so, they would not have fitted as tightly during the checkout as they did in the 1/6th-g aircraft or on the Moon. 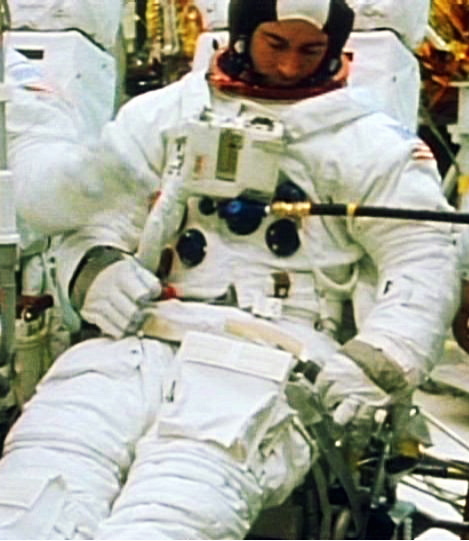 John Young (seated) and Charlie Duke in the KC-135 aircraft flying 1/6th-g parabolas to determine the correct seatbelt lengths for use on the Moon. Full size version S71-56483. 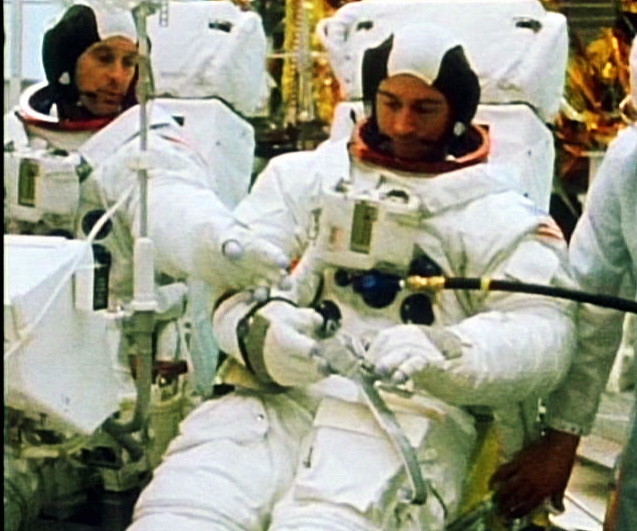 Charlie Duke (left) watches John Young prepare to fasten the CDR's seatbelt. The long metal hook at bottom center will hook over the side handrail. 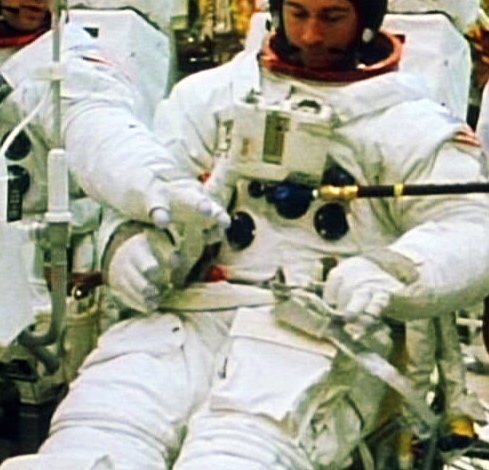 With guidance from Charlie, John uses the box containing the latching mechanics to pull the belt across his lap. John puts the belt hook on the side handrail. John pulls the latch lever up. John seats the latch lever.